Yesterday the pea plants came out of the hoophouse. As we begin to see nighttime temperatures below freezing on a consistent basis we lose some of the cool weather but not cold weather plants from the unheated space. 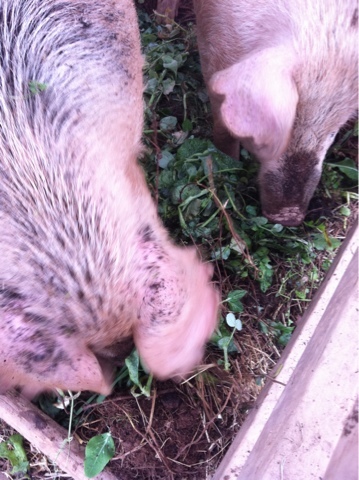 This makes the pigs happy! 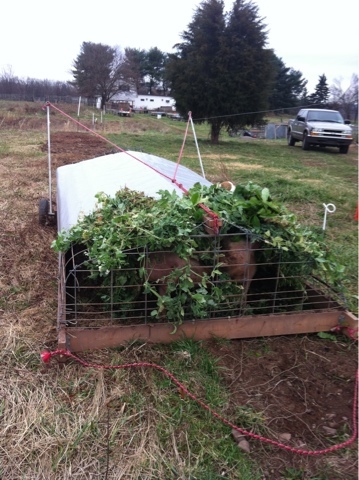 We ate pea shoots all fall..but the pigs did the big job, roots and all.